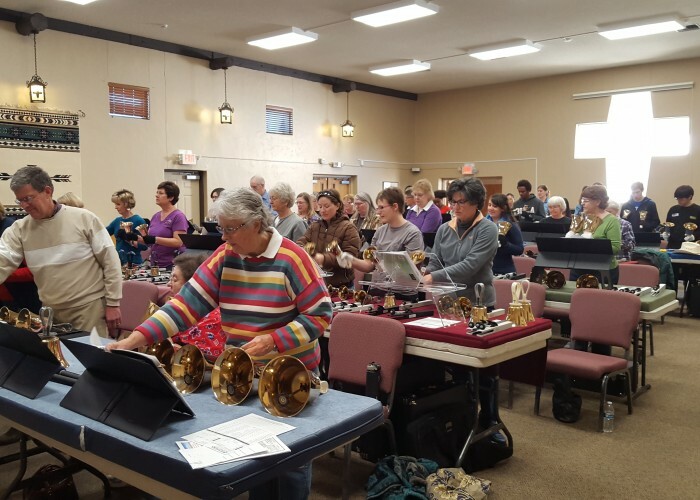 We are sending out a great big THANK YOU to all of you who came to our winter concert: “All I Want for Christmas is…BELLS!” Remember that on our website (sonoranbells.org) you can make a donation, purchase CDs, or sign up for our “Email Newsletter” which will notify you of future concerts. 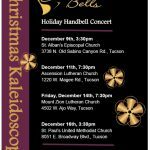 Sonoran Bells is proud to present our winter concert: All I Want for Christmas is…BELLS! Stop by the events page for more info. 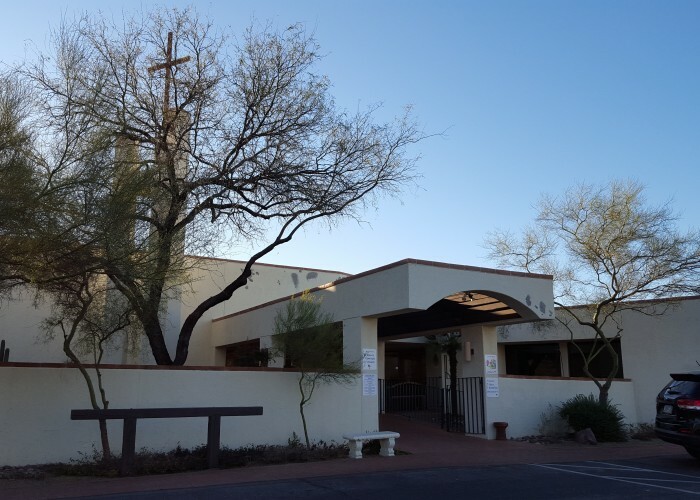 If you are interested in joining Sonoran Bells as a performer, please mark your calendars for August 23rd at 6:30pm. For more information and directions to the location, please contact Shannon Casey, Artistic Director. 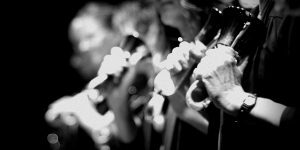 More details about becoming a member and the audition process are found on our “Membership & Auditions” page. 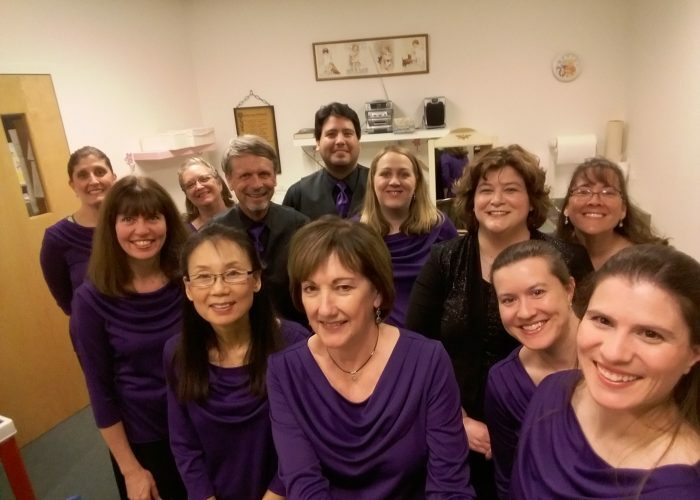 Thanks to everyone who attended our spring concerts: “On Screen and Stage.” Remember that on our our website (sonoranbells.org) you can make a donation, purchase CDs, or sign up for our “Email Newsletter” which will notify you about future concerts. 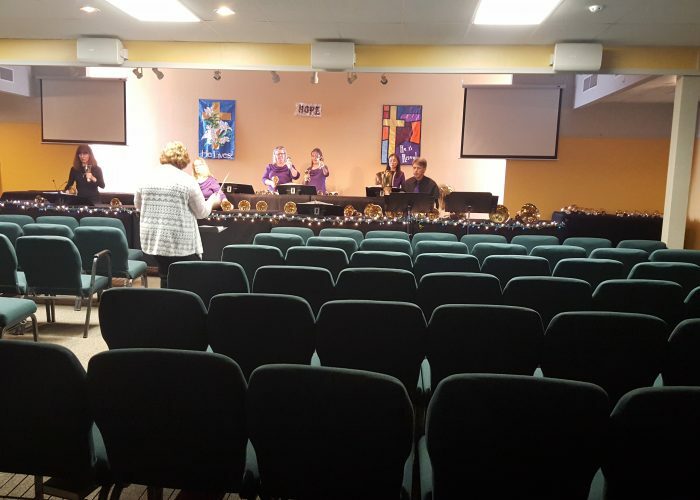 Here are some “behind the scenes” pictures. Remember that concerts start tomorrow! 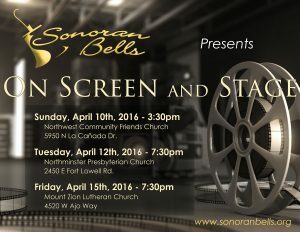 For more information, visit sonoranbells.org/events. Locations have been set and a flyer is now available for our spring concert! Click on the image below for a print quality PDF. 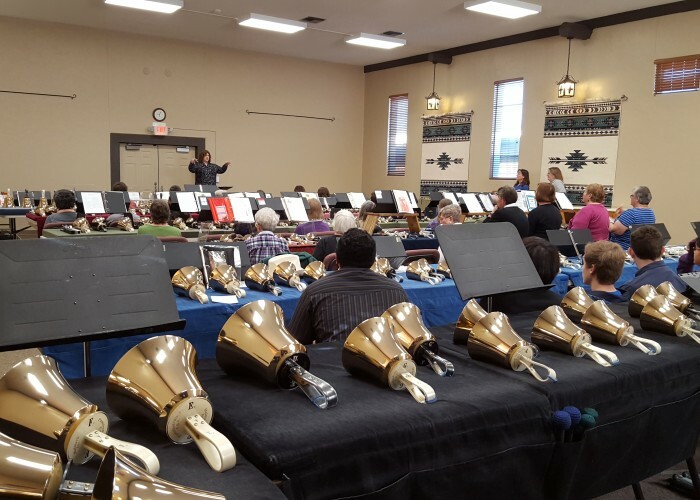 Super Bell Saturday was Great! 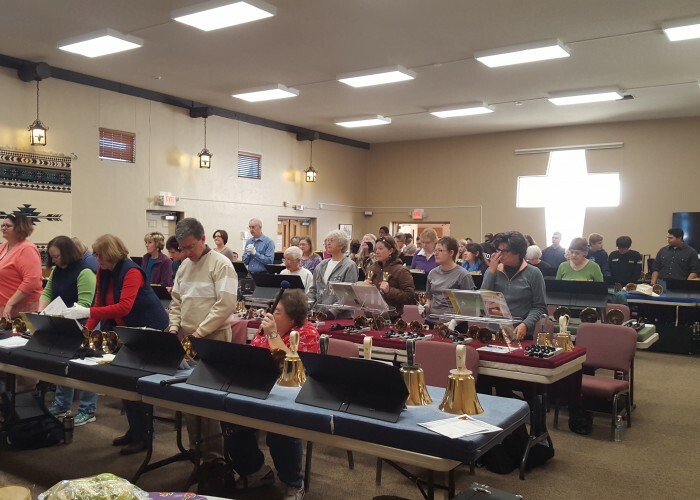 For this year’s Super Bell Saturday, Sonoran Bells was joined by choirs from Ascension Lutheran Church and School, Desert Christian High School, Desert Hills Lutheran Church, Desert Skies United Methodist Church, Fountain of Life Lutheran Church, St. Alban’s Episcopal Church, St. Philip’s in the Hills Episcopal Church, St. Mark’s United Methodist Church, Trinity Prebyterian Church, Vista de la Montana, and Christ Church. 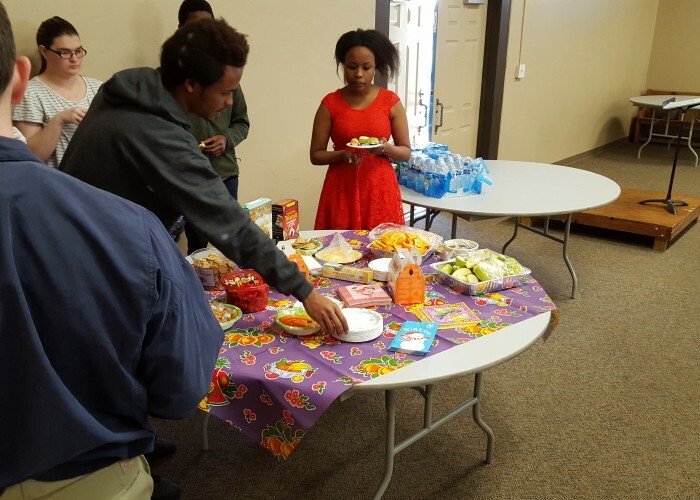 We had over 50 people and were the largest event in the Area! 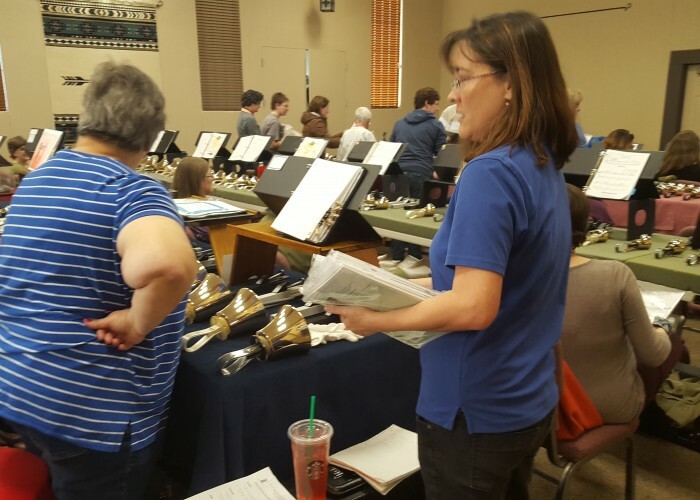 We all “Read and Rang” a number of handbell pieces. 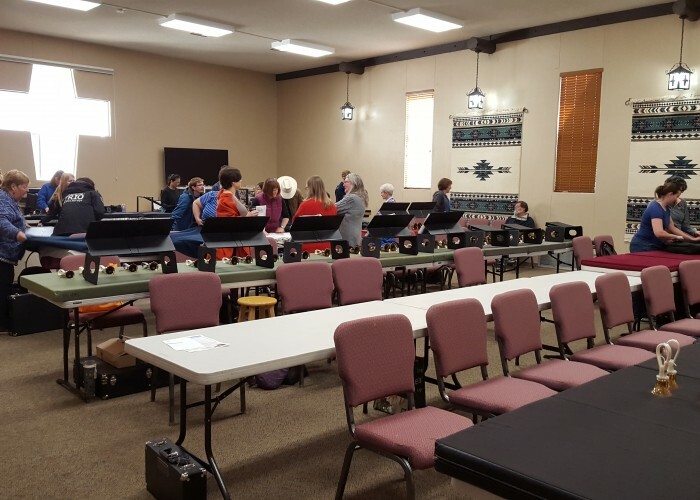 We all brushed up on our sight-reading skills and techniques. 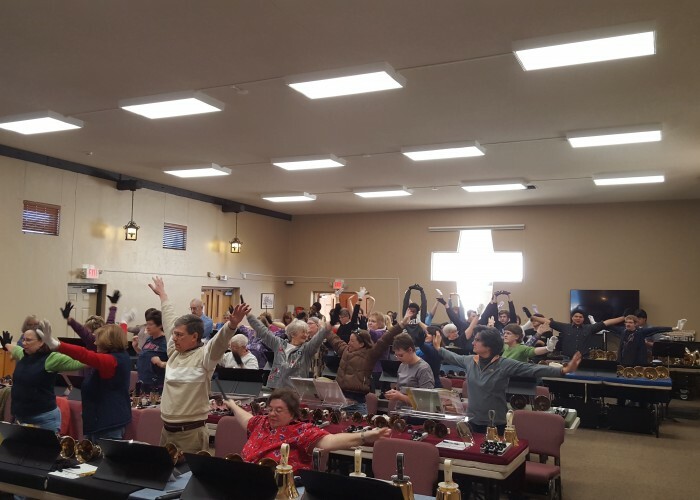 Thanks, everyone, for making this event a great one! And thank you to St. Alban’s for hosting us! 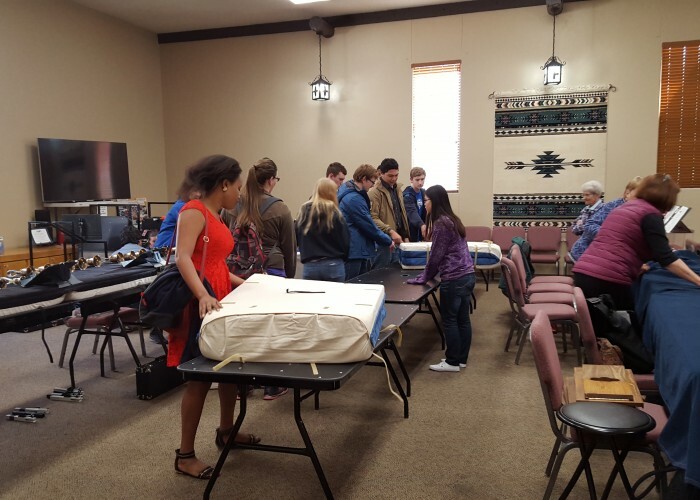 St. Alban's Episcopal Church - Our Host! On our feet and ready! 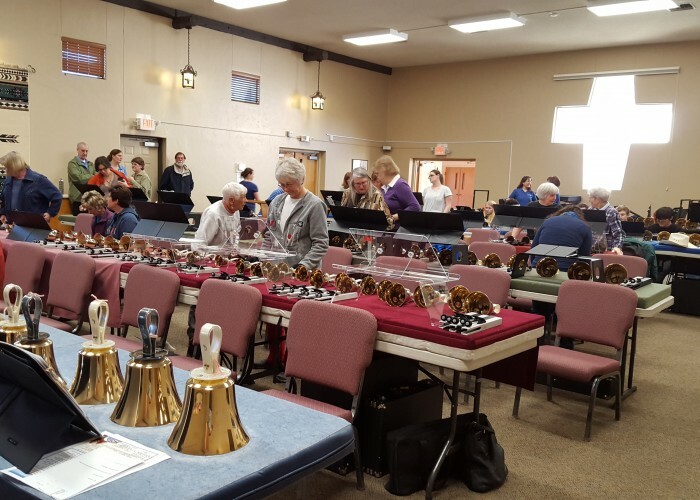 Look at all those ringers who are ready to ring. 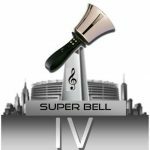 Sonoran Bells will be hosting a local opportunity for bell choirs to participate in “Super Bell Saturday” on February 6th. For more information and a link to the registration form, please visit our Events Page. 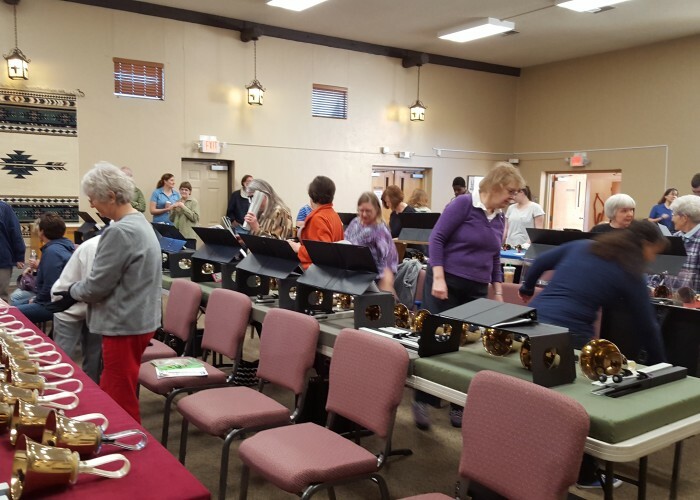 Sonoran Bells is starting rehearsals on Tuesday, January 5th for our spring performances in April. 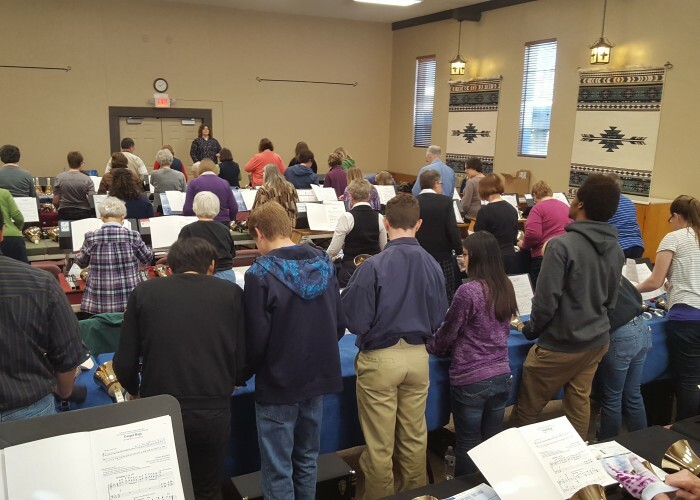 We are all excited to get back and learn the pieces that our artistic director has chosen for this semester. 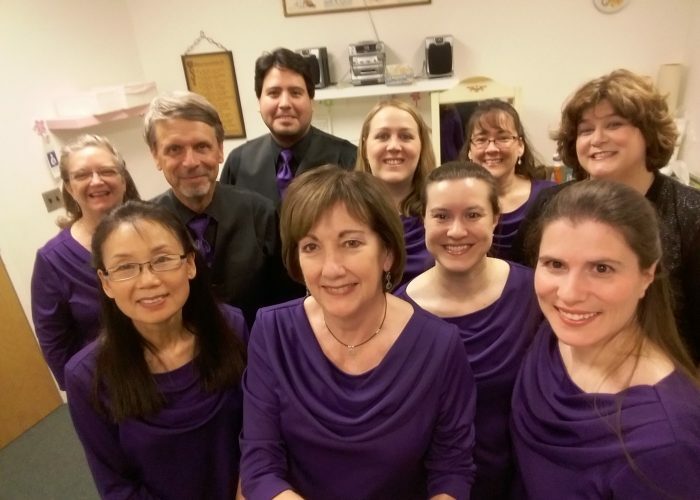 As we get closer to our performance dates, more information will be posted on our website as well as on Facebook. 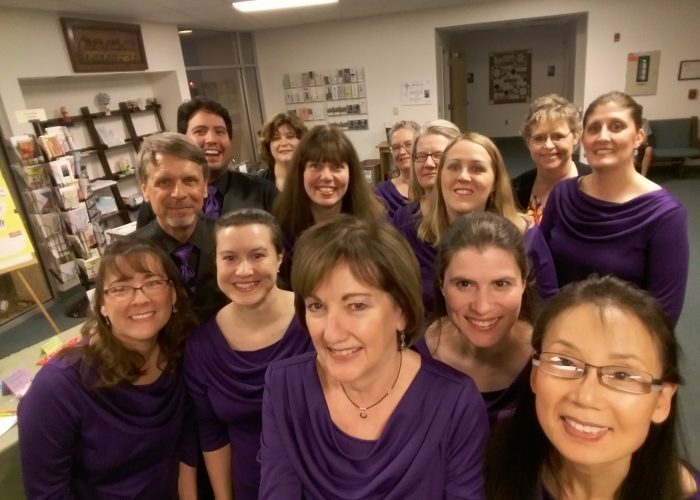 Thanks to all of you who helped us Ring in the Season by attending our concerts! 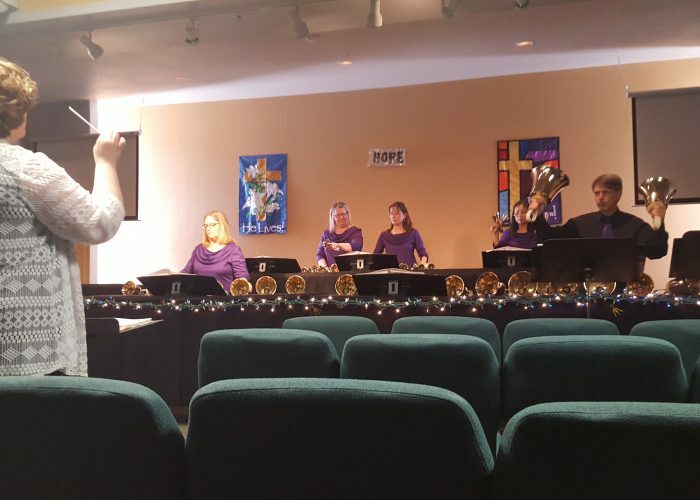 Remember you can come to our website (www.sonoranbells.org) to learn more about us, make a donation, or even purchase a CD. 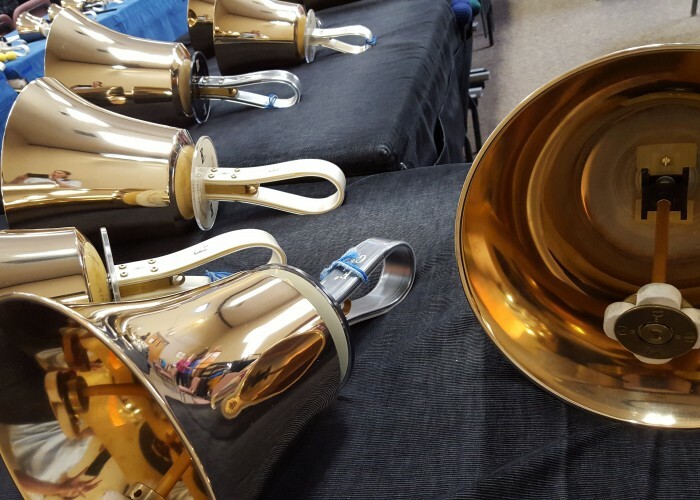 You can also sign up for our email newsletter which will keep you informed about future concerts.